The following comes from LDS Daily. To read the full article, click here. 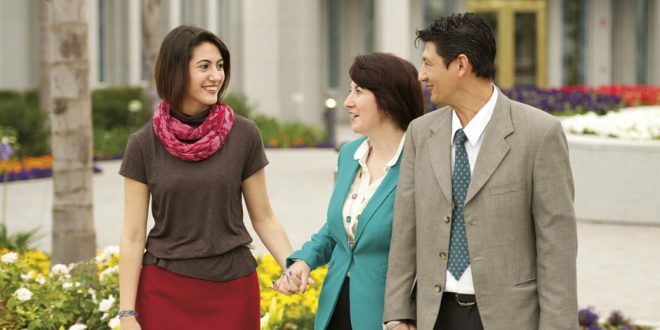 Latter-day Saint temples are sacred places where members of the church make sacred covenants, received revelation, and seek after God. For the past four years, I have had the joy of working as an ordinance worker in the temple; I get to officiate in the ordinances and help those who visit the temple have a good experience. There is a lot I have learned about working in the temple in those four years, and some of it has been surprising. Before, I saw temple workers differently. They were always so on top of things and perfect! I think understanding the perspective of a temple worker can benefit anyone’s time in the temple. So, here are six things temple workers want you to know! Our number one goal is to help patron’s have a positive experience. While one of our important jobs is to be stewards of the sacred temple ordinances (more on that later), helping you feel comfortable and connected to God is our highest priority. So, don’t be scared to ask for things you may need to have a better temple experience. Whether it is sitting in a different place in the endowment room, needing help getting dressed in ceremonial clothing, or even wanting a cup of water, we want to help. Don’t be afraid to reach out. Many people experience anxiety in the temple because they want to get every part of every ordinance exactly right. It is important to do our best, but temple workers don’t want you to feel judged or nervous. It’s ok to make mistakes, ask questions, and learn. Our temple matron reminds us often that it takes A LOT to invalidate an ordinance. You just need to focus on Jesus Christ and what the purpose of the temple is all about, and the rest will follow. And we’re not perfect either!